You’ve played Iron Man, Iron Man 2 and now Iron Man 3 has hit our computer screens to complement the recent movie starring Robert Downey Jr., Gwyneth Paltrow and Don Cheadle among others. Downey Jr. is Tony Stark, our hero who saves the day with the help of his state of the art body suit. 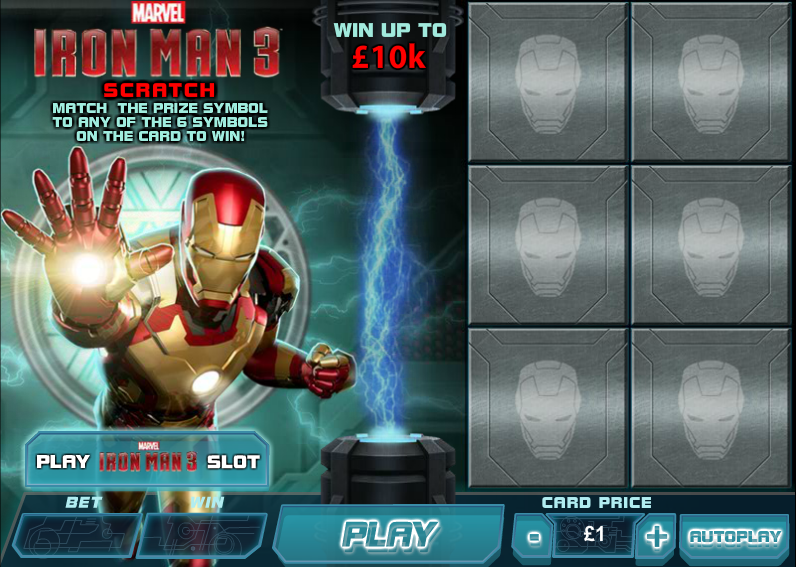 Iron Man 3 is another Playtech release and it’s also of course a Marvel slot which means the player is eligible for the range of Marvel progressive jackpots available. 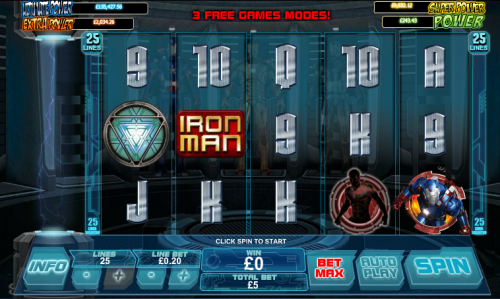 This slot is a five reel and twenty five payline game which certainly fits the mould of previous Playtech Marvel slots; 9, 10, J, Q, K and A are the low value symbols but the higher value ones are related to the theme so we have a range of Stark’s body suits as well as the enemy, Mandarin. The Iron Man logo is the wild and an the game’s logo is the scatter symbol. All players have a chance to enter the progressive jackpot game although the higher your stake the better chance you’ll have of a shot at the big money. 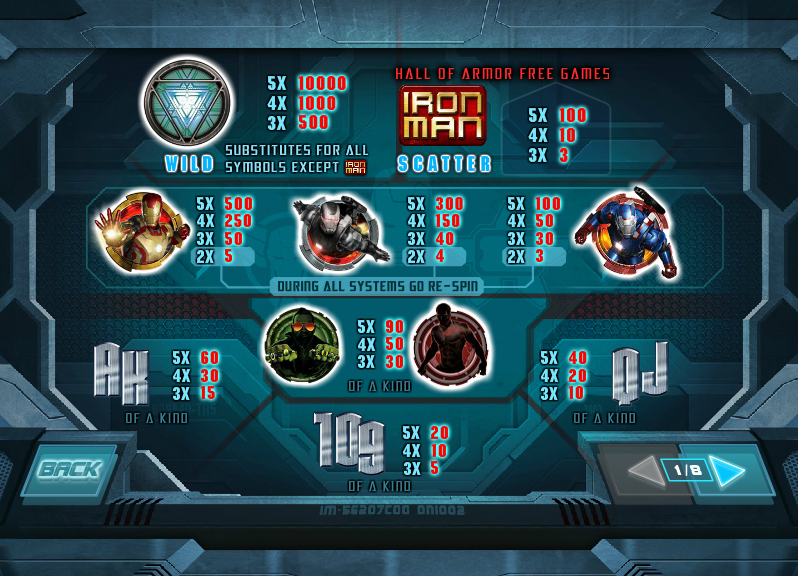 The four jackpot levels are Power, Super Power, Extra Power and Ultimate Power. Playtech have maintained the high standard of Marvel slots with this latest release and the variety of bonus games means this is a slot well worth devoting some time to. Players can bet as little as £0.01 on one payline right up to £250 with all settings maxed out.